Henkel invites you to immerse yourselves in the experience of a Swedish spa treatment with the new Barnängen body care range. Come and enjoy moments of relaxation and wellbeing with a head massage and refreshing smoothies, a live MIX FM radio broadcast, and many surprises. 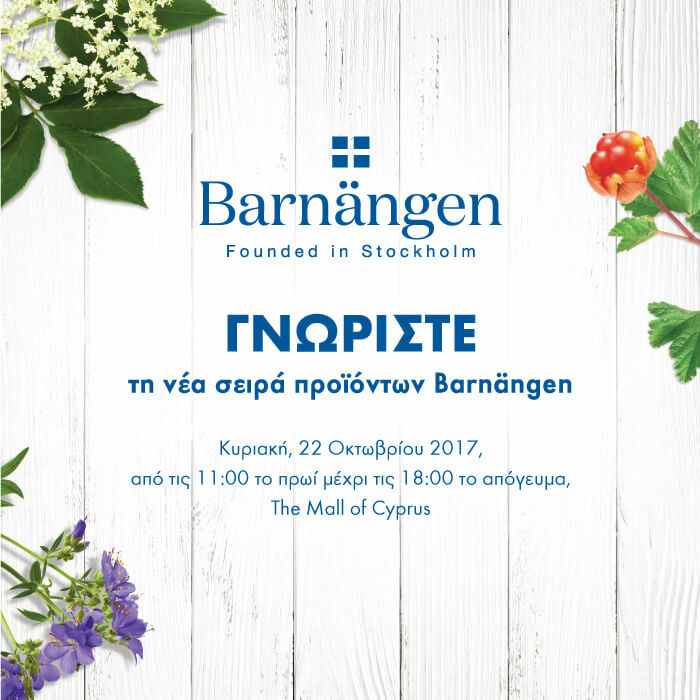 Sunday, October 22nd 2017, from 11am to 6pm at The Mall of Cyprus.